The competitive action resumes this weekend less than two months after it finished. The Serie A may have only finished on 2 December, but the country’s biggest clubs are back in competitive action this weekend in the state championships less than two months after the 2018 season finished. The football calendar in South America, and particularly that in Brazil, is unhealthy. There are too many games and players simply do not get enough rest. It affects the quality and intensity of the games that really matter. There are other problems too, most notably that the calendar is out of sync with the rest of the world. Major international competitions, like the World Cup and Copa America, take place in the middle of the Brazilian season. 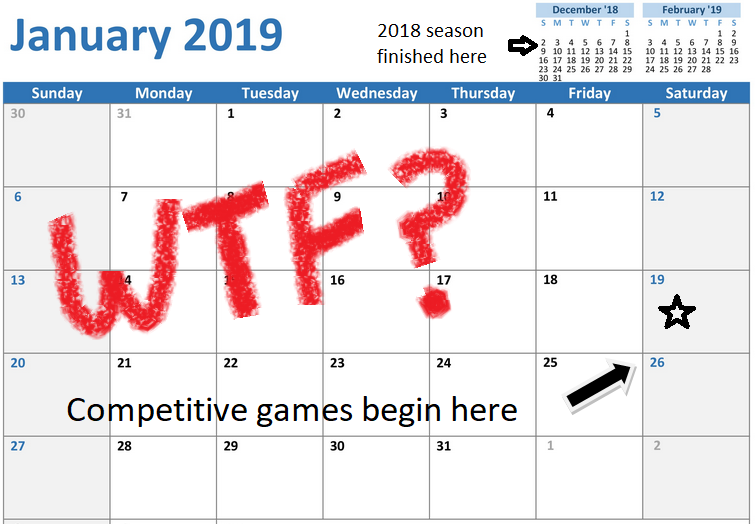 Not only is this disruptive since some players missing clubs matches as they prepare for international duty, but it results in a month long pause in the middle of the season (as games are put on hold during the competitions) meaning that games get bunched up outside of these competitions and players are sort of resting but not really resting over the period. Another calendar issue is that the European summer transfer window happens in the middle of the Brazilian league season meaning that Brazilian clubs often lose key players in the middle of their league season. The large distances involved in Brazilian travel complicate matters too: a league match in which a team from São Paulo travels to Fortaleza to play Ceará is about the same distance as it would be for Arsenal to travel from London to Kiev. Travel distances in South American international competitions, like the Libertadores or Sulamericana, are even bigger. Schedules aren’t set in advance which adds to the planning difficulties too. Scrapping the state championships, or shortening them significantly would help. Aligning the the fixture list with the FIFA calendar – so that the European transfer window and competitions like the World Cup or Copa America don’t coincide with the middle of the season be beneficial too. Shortening the length of international continental club competitions, particularly the Sulamericana, would also be good. There are a number of changes that could be made. But the authorities need to recognise the problems and talk about the problems first. For more on Brazilian football in general, and how these competitions work, check out the relevant parts of the ‘About’ section of this blog. This entry was posted in Brasileirão, Brazilian Cup, Brazilian football, Copa America, Serie A, State Championships, Sul-Americana and tagged Calendar, Fixture list by Brian Davidson. Bookmark the permalink.